Applied Mythology: Do You Really Need To Be Afraid To Eat MacDonalds French Fries? 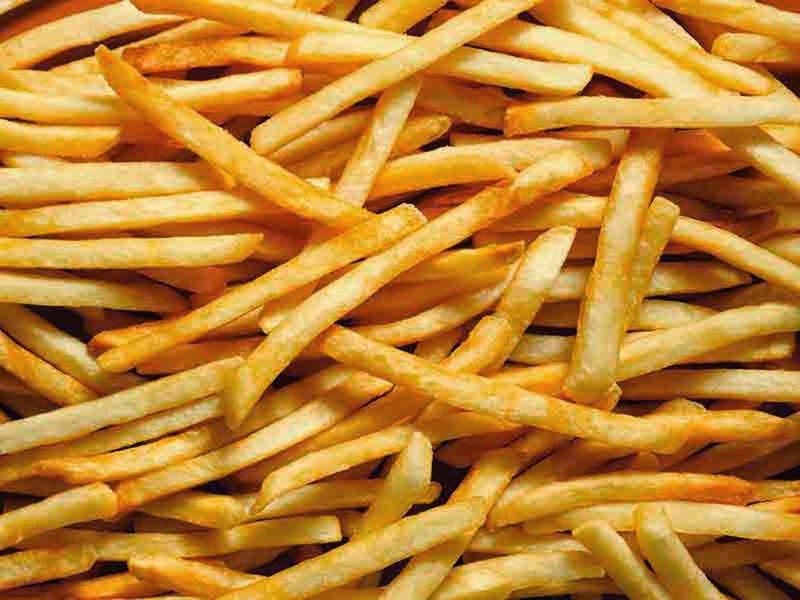 Do You Really Need To Be Afraid To Eat MacDonalds French Fries? There is a widely watched video of a recent talk titled "How Cooking Can Change Your Life" given by author Michael Pollan (Omnivore's Dilemma etc). His main point is that Americans and Europeans would be much better off health-wise if they ate a lot more home cooked meals. I can certainly agree with that concept, but I have some problems with his approach in this talk. He basically spins a scary, conspiratorial story about McDonalds french fries and how they are grown. Unfortunately, there is a lot of outright disinformation in his talk. He also presents an unfair and inaccurate picture of the potato industry as a whole. I don't know where Pollan got his information, but it was clearly not from someone with a very complete perspective. The "scary" aspect of the talk is now being trumpeted by entities like the Village Green Network to convince people they should "never eat McDonalds fries again!" This is not exactly a legitimate way to convince people of the benefits of home cooking. I'll go through the main points of Pollan's talk. He claims that McDonalds will only accept Russet Burbank potatoes and that those have unusually long tubers and are difficult to grow. In fact, McDonalds has approved several cultivars over the years which can meet their quality standards that involve much more than just size. Russet Burbank is a very old cultivar that is still around because it is particularly consistent and because growers know very well how to produce it. The growers do get more money for potatoes in a certain size range and less for those that are smaller or larger. Farmers don't sell directly to McDonalds but rather to a few major processing companies. Those processors have other uses for all the little or big spuds because they make more than just the fries for McDonalds. Pollan said that McDonald's does not accept any blemishes - particularly those caused by a viral disease that has a symptom in the tuber called "net necrosis." He claims that to stop the aphids that vector the virus, the growers use an insecticide called Monitor which is so toxic they won't enter the fields for 5 days after spraying. Lots of problems with this story. 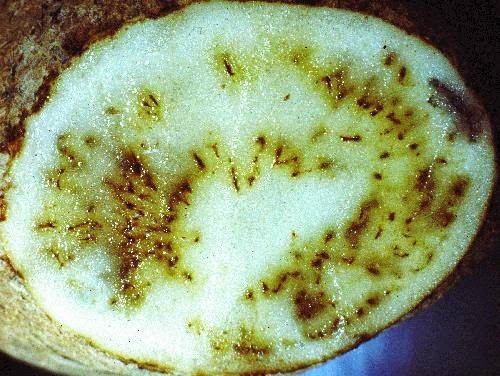 Actually, there are several important virus diseases of potatoes, and the growers need to control the aphids that spread them for many reasons beyond the net necrosis issue. 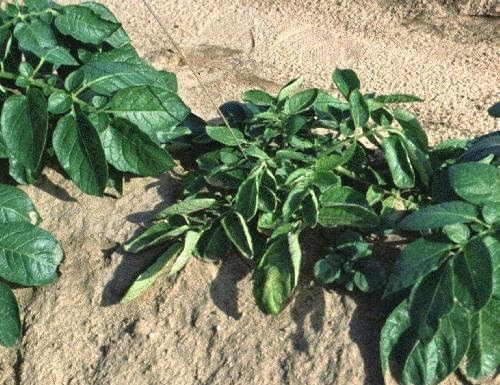 Virus infected potatoes yield poorly, so to allow them to become sick would reduce the resource use-efficiency of all the crop inputs (land, water, fertilizer, fuel, labor...). The ways that potato farmers control the aphids and the viruses are actually quite complex and involve more than just sprays. Even for the spraying, the old product, Monitor, is far less important than it once was. The "five days" thing is not something bizarre. The EPA sets "re-entry intervals" (REIs) for all pesticides for the purpose of worker safety. The shortest ones are several hours and for Monitor it is actually 4 days. It is just a prudent part of the EPA oversight. Again, farmers now have many other insecticide options (here is an article about this from 2002 and since then there are even more good options). Pollan then goes on to say that the potatoes have to be stored in big warehouses for 60 days for the toxic pesticide to "off-gass." That is simply false. How potatoes are stored and why has absolutely nothing to do with the use of Monitor or any other chemicals used in the field. Storage of potatoes is very important because otherwise we would only have them available fresh for a few months out of the year. For those that are frozen as fries, it is still important to have storage prior to processing so that the expensive processing facilities can be used all year. This is again just a matter of efficiency. By the way, I checked the USDA's database of pesticide residue testing for potatoes, and any residues of the chemical in Monitor (methamidophos) that were ever detected were extremely low, far below even the very conservative "tolerance" set by the EPA. That is also true for other compounds. You can easily scan the data at a site called CropAudit. There is nothing scary about pesticide residues on McDonalds potatoes or any others. The reality is that the US potato industry has a great safety record and is becoming more resource-use efficient all the time. So, I would join Pollan in encouraging people to enjoy potatoes in all the delicious ways one can do that with home cooking. I would also say that there is no danger in sometimes enjoying the sort of fries that McDonalds and other restaurants can make - something difficult replicate at home. The viable path to healthy eating is about moderation, diversity and personal responsibility - not about responding to fear-based narratives.